The Mission or the Team is to assemble a group of mentors and athletes committed to promoting camaraderie, competition, and athleticism to those with disabilities. Players and parents are encouraged to review the information provided below. As a parent, if you wish to get involved as a Coach or Volunteer, please see contact one our Coaches for more information. We are always looking for coaches and volunteers for our organization. Dedicated coaches and volunteers are the lifeblood of any amateur sport program. The VBHC Destoryers Sled Team leadership recognizes this and is looking for motivated individuals who will lend their time, effort, and expertise to make a difference in the community. ​​​Sleds are usually made of light-gauge aluminum, consisting of a customized bucket to sit in. A backrest can be used depending on the ability of the athlete. A frame supports the bucket, legs and feet, and is mounted on two skate blades attached under the bucket. Straps keep the player secure in the sled. 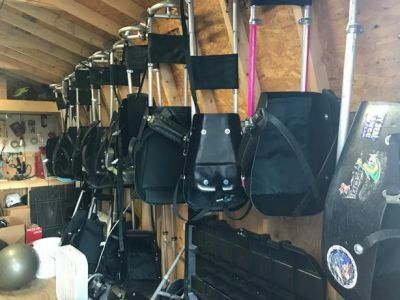 Sled hockey has a relatively small number of equipment suppliers to provide the sleds, sticks and picks that are unique to sled hockey. 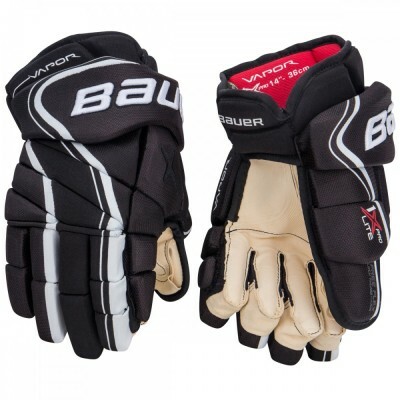 All other hockey equipment that is necessary such as helmets, gloves, etc. can be bought from any other stand-up hockey equipment supplier. See our links below.